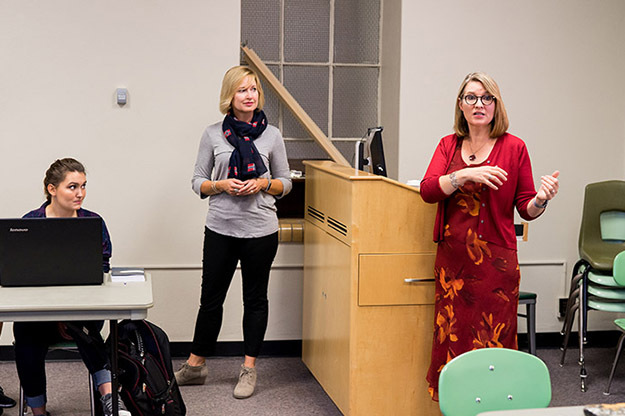 Professor of English & Interdisciplinary Health Studies Tami Carmichael (standing left) joins English Professor Rebecca Weaver-Hightower (standing right) in leading a Go Global Academy composition class discussion on the role of globalization in pop culture. The academy is a first-year learning community for students who are interested in global issues, but haven’t already had international experiences. Photo by Tyler Ingham. 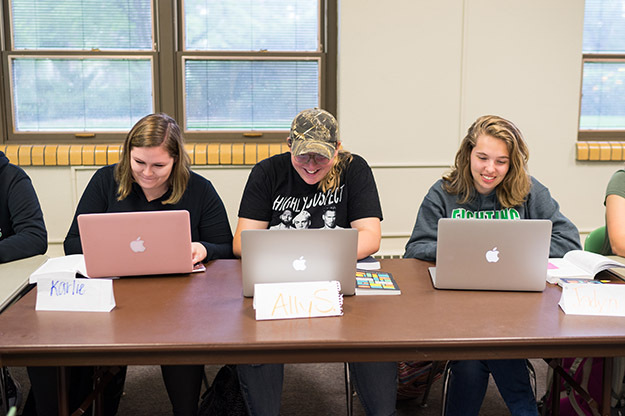 At 10:30 on a Wednesday morning, 21 UND freshmen are gathered in Merrifield Room 10, lost in a discussion of the globalization of everything from Mickey Mouse to Kentucky Fried Chicken. The students in this Composition 110 class seem to share a certain essence – small town, Midwest-raised, boys and girls next door. That’s because most of them are. Schlecht is part of the inaugural class of the Go Global Academy, a first-year experience that offers up internationally-focused opportunities and development on the UND campus. 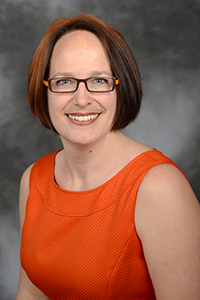 “It’s targeted at students who are interested in global issues, but haven’t already had that experience,” explained UND English Professor Rebecca Weaver-Hightower, who helped design the program with three other faculty members – Director of International Studies Thyra Knapp, Professor of English & Interdisciplinary Health Studies Tami Carmichael, and Associate Professor of Norwegian Melissa Gjellstad. “We’re thinking of it as the College of Arts & Sciences’ (A&S) signature program for underserved students. We have a target audience that we’re trying to get into the world,” Weaver-Hightower said. Academy recruit Ally Schultz is a native of Sauk City, Wis. – a community of 3,400. 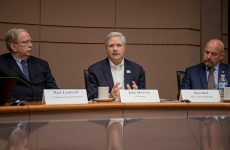 UND President Mark Kennedy uses his own rural Minnesota upbringing as an example of not letting a humble background damper intercontinental curiosity. Academy enrollees are part of a learning community that attends two globally-leaning composition and humanities courses together each semester for two years. 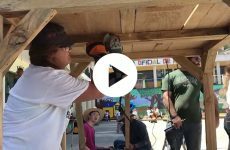 Participants are also required to dive into cultural activities, including UND International Center Culture Nights, meetings with UND’s English Language Learners (ELL), collaborations with Grand Forks’ Global Friends Coalition and a trip to Winnipeg. At the end of sophomore year, the students are awarded a Go Global Academy certificate and will walk away with a professional portfolio showcasing their writings, international experiences, research projects, and, ultimately, their personal growth. Knapp said the portfolio gives them something concrete to present to an employer. Go Global is open to any major, allowing the program to add an international layer to anything from aviation to engineering, and for students to begin building interdisciplinary connections. Storrs said one of the things she loves about Go Global is that the idea was generated by faculty. As Go Global grows, Storrs wants to take the idea further. She’s working with A&S faculty to examine ways to bring together the College’s global/cultural units into a single school with its own integrated curriculum. “There’s potential for this to really make UND become the international school in the state, and could be one of the ways we can set ourselves apart,” Weaver-Hightower said. Go Global Academy enrollee Ally Schultz (middle) laughs with classmates as they complete an impromptu writing assignment. Schultz is a freshman from Sauk City, Wis., a town of only 3,400 people. Photo by Tyler Ingham. The Go Global Academy works in partnership with the UND International Center. 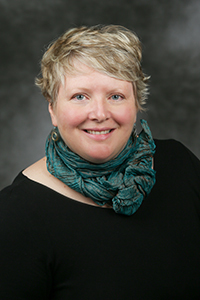 Director Katie Davidson said her team provides the logistical support to the Academy’s curricular goals, including helping students apply for passports and organizing a group day-trip to Winnipeg – both new opportunities offered campus-wide this semester. On top of becoming a passport application acceptance stop, the International Center is helping students bust even more barriers to a global experience by finding financially-suitable ways to study abroad, whether it’s a nine-day, faculty-led journey or a semester-long exchange program under UND tuition. 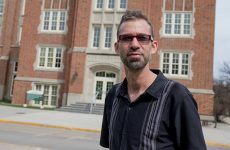 “We’re really just hoping that students start thinking about it, and thinking about it earlier,” Davidson said. Schultz has been thinking about it for a while, before she even sat in her first Go Global composition session. When: By appointment (701.777.4231) Monday-Thursday, 3:00-4:00 p.m.
For more information on the passport application process, visit www.travel.state.gov.